Welcome back everyone. I hope your pre-release weekend was great, and that everyone had a lot of fun. Magic is full of options for everyone to have fun, and for me that’s with blue & white cards. It’s been that way since I cast my first Wrath of God, my first Counterspell, and used those colors in a deck with Icy Manipulator + Winter Orb. Those were great time. Knowledge, and upholding the law. These are the two pillars of the colors that make up the Azorius guild, and my absolute favorite way to play. As you all know I enjoy Control decks a great deal, and today we’re going to talk about several of them. That’s right. Not 1 deck, not 2, but 3 decks! 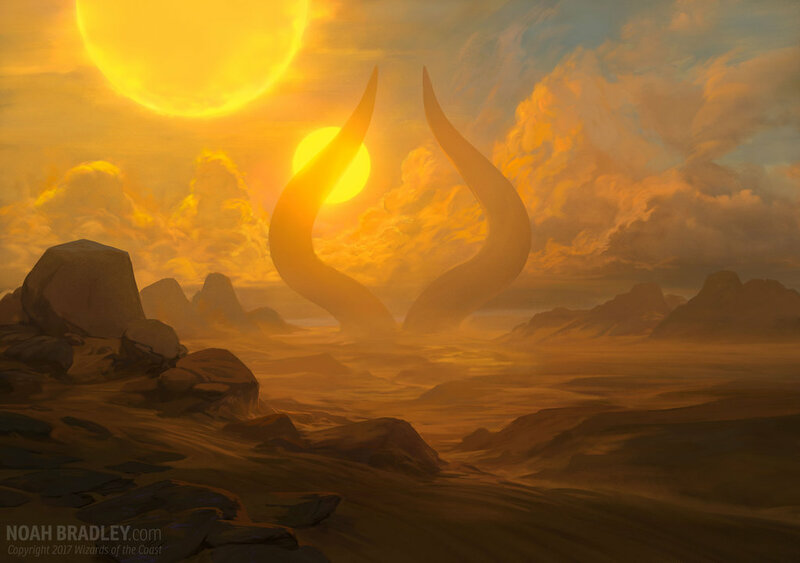 We’ll cover Standard, Modern (the format I play the most), and Legacy. Standard is going to change here at the end of this month. We will lose all cards not reprinted from Battle for Zendikar through Eldritch Moon. While I have not played a lot of Standard since Battle for Zendikar came out (for various reasons) there has been a deck that has allowed me to Approach Standard how I would like. While the loss of Blessed Alliance, and the criminally underplayed Immolating Glare will hurt this deck will still survive rotation. Our goal here is to tempo the opponent early via cards like Opt, Censor, and Farm//Market. This would allow us to play an early Gideon, and force the opponent to over extended into our wrath effects. From there we have to remain stabilized until we can cast Approach of the Second Sun. I have been fascinated with this card since it’s release. While I’m not a fan of the manual dexterity required when playing the deck the effect is quite powerful. 7 life can negate an attack, and require the opponent to repeat their last turn. Also opponents have to play more aggressively in the hopes of winning before you draw the Approach you just tucked away. With the amount of card draw this deck offers you will, more often than not, cast your second Approach on the turn after playing the first one. The sideboard is built to deal with some of the bigger problems the deck may face, such as Ramunap Red, Temur Energy, Golgari decks using +1/+1 counters, and Planeswalkers. Aether Meltdown is a card I may consider for the sideboard vs aggro decks, and Search for Azcanta is something I may try. I have only been playing this deck for a few weeks, but it’s a ton of fun. This is the format I have enjoyed, and played, the most. While it does not seem like Control will work as we have seen in Standard one can play an Azorius based Control deck where the focus is not always on counterspells. If you read my article last time about the Casual Azorius Control deck I posted then this one will look pretty similar. While tapping out more often than not the goal here is to win via turn-by-turn card advantage. Serum Visions, into Spreading Seas, into Gideon of the Trials, and then Supreme Verdict can really hamper aggro decks. Your win conditions are your planeswalkers, and with the recent rules change this deck can allow you to have different versions of the same planeswalker on the field at one time. Nice board state, huh? This would require moving Jace, Architect of Thought to the board (excellent vs Lingering Souls) so we will have to see how the new rule will change the build going forward. The sideboard is built to help vs it’s problem matchups which include: Eldrazi Tron, and Valakut based decks. One big issue is that the deck lacks a quick clock, but Giest of Saint Traft, as well as having multiple Gideons, should help against that. Yes. I still play this format (occasionally) although my focus lately has been getting cards signed over playing. With the banning of Sensei’s Divining Top earlier this year I have reverted to an old friend: Stoneforge Mystic. I used to play Caw-Blade when it was Standard Legal, and honestly miss it. I know the deck was way overpowered, but here in Legacy it’s on par with a lot of other decks. While technically this is a Midrange deck I’m not a fan of the new Miracles deck. Having the traditional Control elements, while having cards hard to deal with, are what was key here for me wanting to go this direction. I know that Blood Moon is superior to Back to Basics, however with the recent change in the interaction with Dark Depths I am hesitant to lean towards a Jeskai build. Having Wasteland also helps against many decks, and keeps me away from Jeskai for the moment. Spell Pierce provides some early interaction vs many of the early key spells in the format (Hymn to Tourach, Liliana of the Veil, and even opposing planeswalkers), and can be pitched to Force of Will later in the game. While Manriki-Gusari helps vs Death & Taxes the deck is a little weak to swarm decks, especially Goblins from Empty the Warrens. The singleton Engineered Explosives can help, but it’s a one shot. The June card of the month is none other than Dark Confidant. Not only is “Greatness, at any cost.” the flavor text for the card, but for those of us who play BGx Midrange decks like Jund it’s our mantra.